3) Excessively Strengthen Propaganda System. Excessively Activate Armed Propaganda Team. 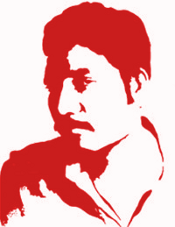 Also make massive propaganda among Police, BDR, East Bengal Regiment and Raxi Bahini [Raxi Bahini was a genocidal counterrevolutionary paramilitary force of Awami regime to confront Maoist Revolutionaries – CPMLM-BD]. The aim of that propaganda will be to inspire them in patriotism, inactivate them and motivate them to surrender. Start attack through national enemy annihilation [higher level’s permission will be needed for complex operation of national enemy annihilation], seize smaller Police Outposts and Market places, seize some Police Stations and carry ambush (it will need permission from higher levels). In order to train guerrillas, carry activities in those areas which we shall not seize. Be cautious to not bring enemy pressure to those enemy positions which we shall seize. After completing training sessions, seize weaker enemy positions. It makes a contradiction that on the one hand training is necessary while on the other, it results enemy positions stronger. Solve that contradiction through above mentioned way. Accept surrender from all except those who are severely hated by people. Inform people about them. Take money and other subscriptions from the surrendered. Give commanders and Commissars from inexperienced regions with experienced ones to carry operation. ▬ Teach them about investigation, plan, actual annihilation, how to make summation and how to make operation sheet etc. Regularly with a few days duration, call them or go yourself to make summation or guide them. ○ The US lackey JSD (National Socialist Party) is trying to take the opportunity of wonderful revolutionary domestic situation.